Are your teeth stained, chipped, or not aligned on top of each other? Dental veneers are a good treatment option to consider because they look like natural teeth and don't require a major dental procedure. For a single stained tooth we can also match the precise shade of porcelain to give it a lighter appearance and fit in with the surrounding teeth. Dental veneers can also be used to close small gaps, when braces are not suitable. If one tooth is slightly out of position, a veneer can sometimes be fitted to bring it into line with the others. 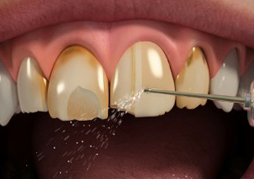 Unlike regular veneers, porcelain veneers do not change colour over time. Thus, patients do not need to worry about the aesthetic of their treatment, even after many years. Apart from this, veneers made of porcelain are extremely durable and can last for decades – this reduces the costs of the treatment on a general scale. Porcelain veneers may correct multiple imperfections, including gaps, chips and stains. In just one dental appointment, patients can enjoy a beautiful, healthy smile. Burwell Dental Surgery provides a range of cosmetic dental services in Burwell, United Kingdom. For more than ten years, our dental practice has been providing dental fillings, teeth whitening, veneers, crowns and braces for patients across the region. Together with the Burwell Team, our principal dentist, Sheetal Jadhav, ensures a safe and comfortable experience for every patient. To learn more about our services and treatments, contact us today.